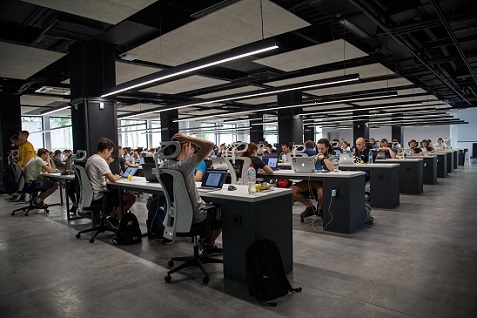 If your business is growing and your staff are expanding with it, you may want to consider moving to a bigger office space in order to accommodate everyone. If you’re struggling to fit all of your team members into the space you have, things are going to start getting uncomfortable pretty quickly. A bigger space will not only mean more space for the staff you currently have but more potential to bring more people on board in the future. For a guide on hiring more staff, you can visit this site here. Similarly, if you don’t have enough space for all of the products you’re producing, a bigger office is a must. If you are producing a high volume of products in order to ensure you have enough to meet demand, you need to ensure you have space to store everything. Whether it’s materials, tools or the finished product – having more space will definitely help you feel more organised. If you have found that your business will do better if it is in a different location, you need to make the decision as to whether or not you need to move. Whilst it may be a good move for your business, you need to work out whether it is a good move for you and your family. For a guide on relocating for business, you can visit this site here. Although it may not happen often, staying in one space too long may cause you to grow tired of a particular location. It may not affect you much, but it can cause creativity and inspiration to suffer so if this is the case, relocating as soon as possible may be the best possible idea. If you’re looking for a change and want to sell the place you’re currently using, you may want to consider getting building inspectors in first. If you don’t feel as though the premises you are renting is safe anymore, it is definitely time to move to a new office. Safety for both you, your business and your staff should be one of the first things on your mind, so ensuring you find a new place to carry out your business safely is vital. Are you thinking of moving to a new office? What warning signs do you need to look for? Let me know in the comments section below.